She may have been on to something in the second part of her quote as we know a writer’s life is tough! However, as a founding member of the Algonquin Round Table and a Hollywood screenwriter, Parker was definitely on point with her initial suggestion. One of the best investments I‘ve made in my journey to become a romance author was to purchase Elements of Style by Strunk and White. This book is a must have for any serious writer. However, if you’re going to break the rules, it’s good to have a solid knowledge of the foundation. Elements of Style, breaks down and explains grammatical rules such as dangling modifiers and independent clauses. It also offers guidance on when you should place a comma before “and “and “but” (which most people forget), and once and for all, gives clarity on the use of your vs. you’re, their vs. there, that vs who and its vs it’s. Did I mention I’m a stickler? It drives me berserk when these words are misused. Be mindful, that in addition to enjoying your work, grammatically savvy readers, are “red-lining” it as well, and they will let you know in a review when you don’t hit the mark. So be on your best game. Know your stuff, and then make it your own. Although the Elements of Style is a must have for writers, I’d recommend it to everyone. Writing well in any profession is a plus. I carry it everywhere! 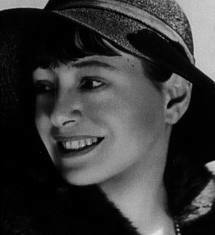 Here’s one of my favorite Dorothy Parker poems. It’s quick and to the point! This entry was posted in literature, Thoughts, Writing and tagged Dorothy Parker, elements of style, grammar, Strunk and White, Writing. Thanks so much, I’m honored that you like my writing. Over the years, I’ve been given good advice and I’ve learned a great deal. I just want to pass it on! Actually the best book I have ever read on the mechanics of sentence structure is “The Transitive Vampire: A Handbook Of Grammar For The Innocent, The Eager, and The Doomed” by Karen Elizabeth Gordon. It lays out the basics in a very clear way, with examples that are fun to read. Yes, you can’t go wrong with that book either … Thanks for sharing! Discovered your blog name via sethsnaps and just clicked on your name. I like that little poem above. Excellent. I write a very simple blog- I do not attempt to call myself a writer and do not pretend to be one. However, I enjoy other writers and will be back to read more. I must see about getting the book/s mentioned above. I prefer to write in a correct manner if I can manage somehow. I’m glad you found my blog. I hope whatever is written will help you with your writing, or just entertain you some days! I love your blog already. The title alone hooked me. Thanks for stopping by!